Can I use investment income to qualify for a VA loan? VA Home > VA Loan Eligibility > Can I use investment income to qualify? 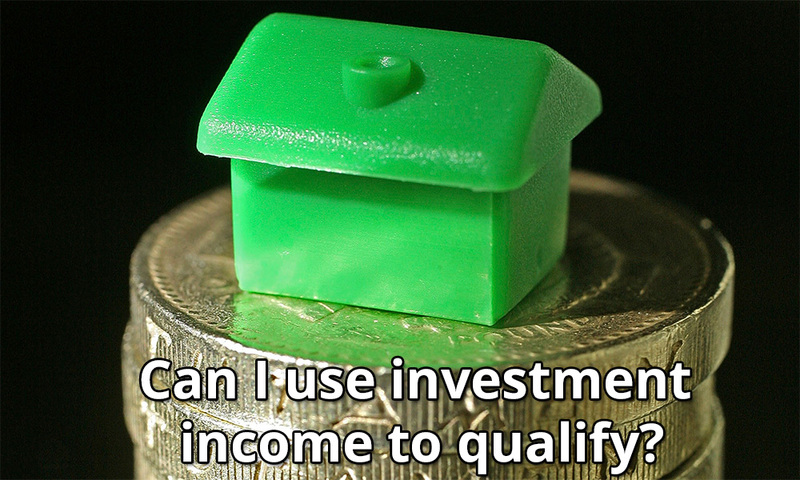 Can I use investment income to qualify? Similar to conventional loans and other federal loan programs, the VA housing loan requires the home to be affordable for the borrower. According to the VA, affordability is determined by a combination of qualifying debt and monthly income. Both are used to calculate debt to income ratio, with the standard gauge being 41 percent. The VA mandates that applicants have an adequate income to enhance the likelihood that the mortgage is repaid in full. Lenders look at the applicant’s gross monthly income prior to deductions and taxes, then determine the probability of the income’s continuance. In assessing the chances of the incomes continuation, the lender is looking for an expectation that the income will carry through for the first three years of the mortgage loan. 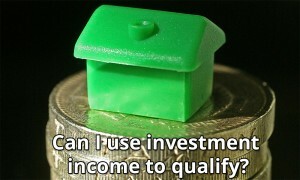 In terms of qualifying guidelines, many sources of income are deemed allowable. Lenders assess the totality of an applicant’s financial situation; they do not just look at one area of a borrower’s revenue stream when determining eligibility. Yes. However, the investment income must be reported on your last two years of tax returns. Additionally, you must have a reasonable expectation to receive the investment income for a period after you close your escrow. Seasonal Employment Income: The borrower must indicate that over the previous two years they have a regular history of this type of work. Additionally, it must be demonstrated that there is a high likelihood that the borrower will go back to work after the conclusion of seasonal employment. Overtime/Bonus Income: Added income such as this can be used if the income has been collected over the previous 24 months and is expected to continue. Part-Time Income: If the income has been collected without interruption over the past 24 months it may be collected. 2nd Job: The applicant must demonstrate that they have had two jobs concurrently over the previous 24 months for the income from a second job to be used in qualifying. Commission Based Income: the applicant must provide the previous 24 months of federal tax returns, and commissions must be averaged over the same time span. Social Security/ Retirement Income: The source of this income must be verified; the income cannot be used if it is set to expire in the next three years. Rental Income: Money generated from investment properties may be used; this is subject to official documentation, however. The rental agreement must be provided in addition to tax returns over the previous 24 months. Money received from boarders or roommates is not allowable. Alimony/Child Support: If an applicant chooses to use this type of income they must provide a payment history for the past year from the former spouse documenting timely payments and evidence of the payments continuation over the next 36 months. Self-Employment Income: If an applicant holds 25 percent or greater ownership in a business, they are considered self-employed. Income generated from self-employment can be used if it dates back at least 24 months. Interest and Dividends: Money generated from interest and dividends can be used to qualify if documentation like tax returns or account statements demonstrates a 24 month period of receipt. For more information about VA housing loans, contact VA Home Loan Centers at 888-573-4496. To apply for a VA housing loan fill out this form below.